Simraceway Performance Driving Center is incredibly lucky to make our home at the beautiful Sonoma Raceway in beautiful Sonoma, California. A road course of slightly more than 2.5 miles, Sonoma Raceway has a rich history in motorsport and it is a perfect setting for the driving experiences that we offer. A great driving experience is about two things – the car, and the track – and we have one of the very best tracks around. The history of this track dates back to 1968. Originally developed by Robert Marshall, Jr. and Jim Coleman, the track came together quite quickly – ground was broken in August of 1968, and the first event was held just a few months later in December of the same year. There were many ownership changes in the early years as the track struggled to find its way, and development of the facility as a racing destination really didn’t take place until the 1980’s. During the 80’s, the track took on the name ‘Sears Point International Raceway’, and it began to host more and more races at the highest levels of the sport. An NHRA-sanctioned drag race first took place in 1988, with NASCAR following a year later. In 2000, big changes began to take place at the track. A $100 million plan was put into place to bring the raceway up to modern standards. Nearly every part of the facility was renovated, and a partnership with Infineon Technologies was undertaken. 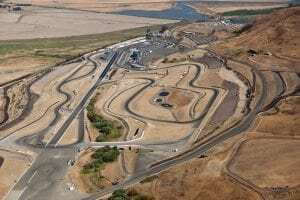 As a result, the name of the track was changed to Infineon Raceway in 2002. When the 10-year deal with Infineon expired in 2012, the track was renamed as Sonoma Raceway – the name it is proud to carry to this day. Today, the Sonoma Raceway is a modern motorsport facility with the capability to host many different types of events and vehicles. The full length road course at Sonoma Raceway measures 2.52 miles and includes 12 total turns. One of the most-notable features of this dramatic track is the elevation change that is included within the circuit. The highest point of the track is turn 3a, while the lowest point is turn 10 – and there is a whopping 160 feet of elevation change between those two points. Few race tracks include that kind of elevation change, meaning drivers are required to navigate both turns and elevation changes if they are to make it around cleanly. In addition to the full 2.52-mile circuit, the Sonoma Raceway also has the ability to vary its route through the use of alternate turns. For example, there is a 2.22-mile layout that is commonly used for motorcycle racing, while a 1.99-mile route is employed for the NASCAR race held every June. This flexibility is one of the best things about operating at Sonoma Raceway, as we are able to use the right combination of turns to suit the needs of our customers and their driving experience. 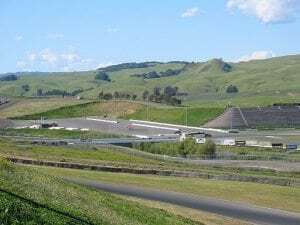 Without a doubt, Sonoma Raceway has an impressive place in racing history, having played host to some of the greatest drivers of all time, including Jeff Gordon, Tony Stewart, Jimmie Johnson, Dale Earnhardt, and many more. 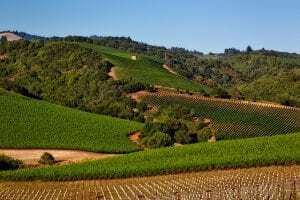 However, in addition to the pedigree of the track itself, we would be remiss if we did not mention the Sonoma area as a whole. As a destination, it doesn’t get much better than Sonoma. Famous for wine making, Sonoma also offers sightseeing, dining, and on and on. If you choose to come visit us at the Simraceway Performance Driving Center for one of our many driving programs, you will be sure to enjoy your time both on and off the track. At Simraceway, we are proud to offer our clients the opportunity to take a spin around this legendary track as part of our driving experiences. Sure, the cars that you will get to drive will be memorable, and the speed you experience may be a once-in-a-lifetime opportunity, but it just might be the track that stands out above all else. We look forward to the chance to show you around the unforgettable strip of pavement known as Sonoma Raceway.